Twitter Feed Pro is a simple and powerfull tool to add Twitter content to Joomla website in an easy and seamless way. With this extension you can increase you audience and engagement of your website visitors. 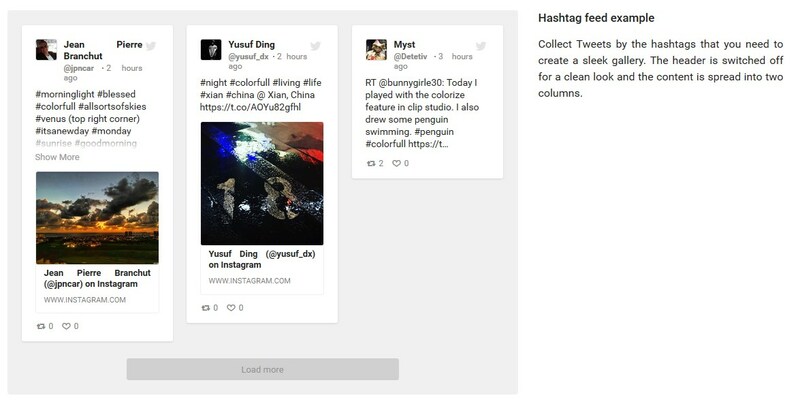 Tweets that you publish on your Twitter account or tweets with certain hashtags will be automatically displayed on your website with the Twitter Feed Pro extension. This extension is able to work in 2 different modes: displaying any public Twitter profile with tweets or displaying tweets by certain hashtags. You can create feeds with photos and and videos which will be updated automatically when there will be new tweets. 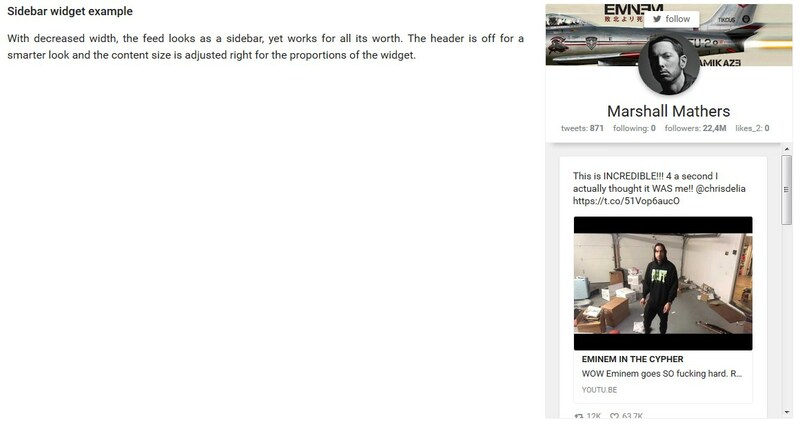 Set the widget size so it can fit into the desired place and it will adapt the contents to the feed's size so it will look awesome on any device. Also you can customize how it will look on each device size. 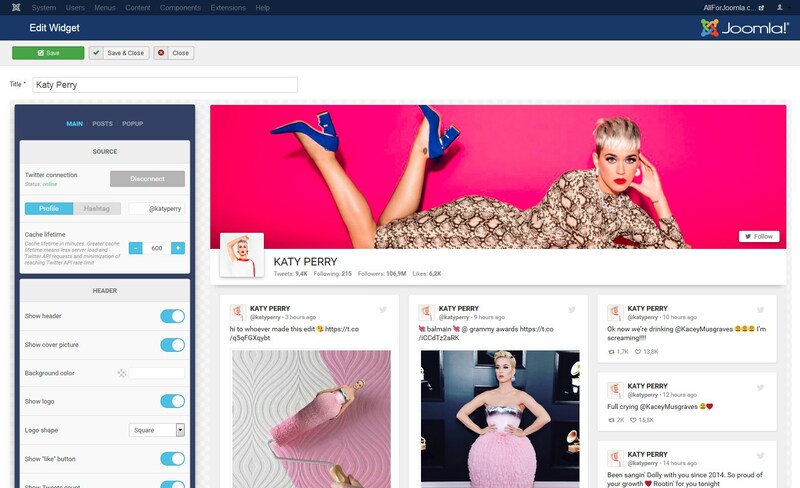 Customize the feed to fit your website's layout with more than 30 customizable options. 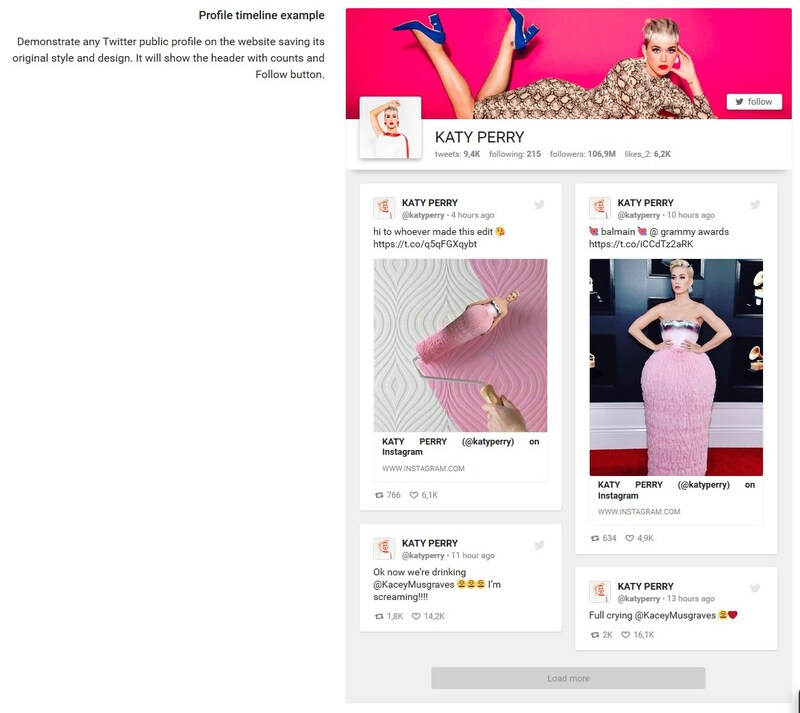 Show widget as a complete source of your Twitter profile information or turn it into an attractive feed/gallery. 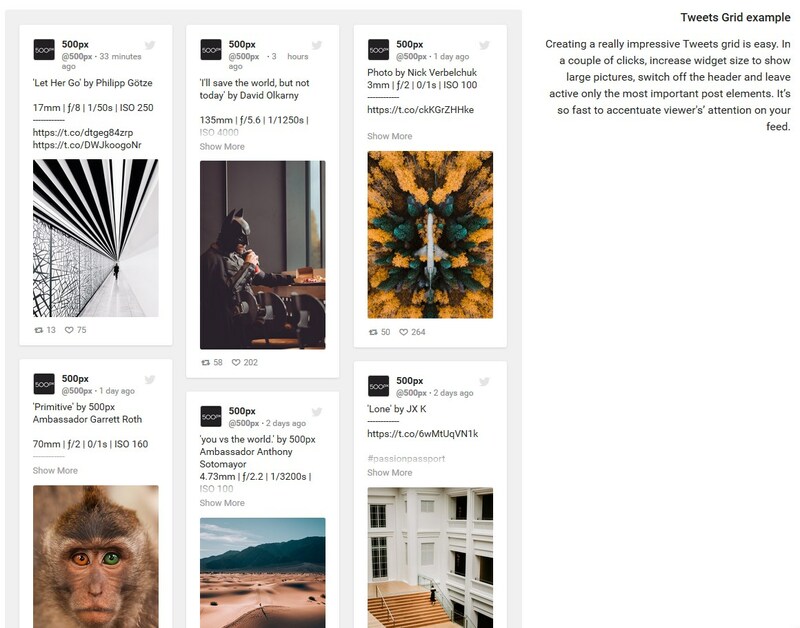 Also the possibility to create a "gallery" of posts with one or more hashtags. 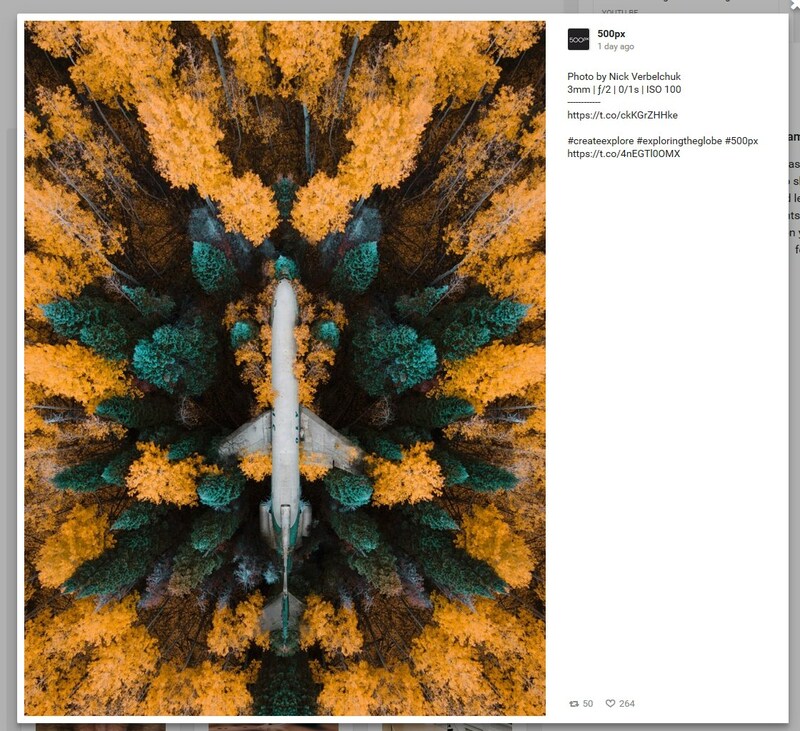 To create more galleries, to merge even more profiles. Everyone can really do everything! Excellent Extension, like all the others of the rest! Amazing plugin! Highly recommend this one. The interface is simple to use and very customizable- without coding! Beautiful! You will have an access to the support immediately after purchase.